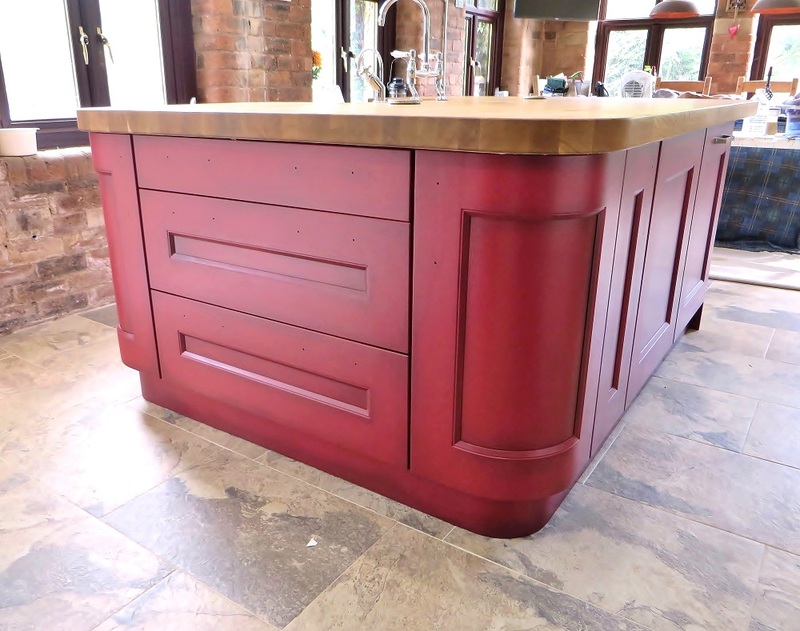 Painting this beautiful handmade kitchen island was a real pleasure to do and something very unique. The clients wanted to make it a real feature and create an effect that would compliment an old Chesterfield sofa that sat in the corner of the room. They were in the throws of renovating their old lakeside house and were doing everything as sympathetically as possible, maintaining much of the original features and having any new work designed and decorated to work in harmony with the original building and its surroundings. They initially emailed me this image as an example of what they wanted. 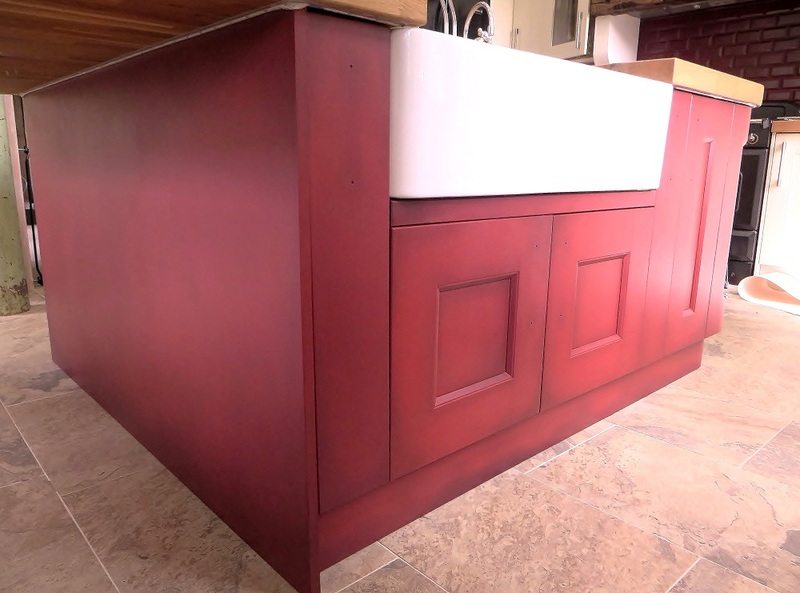 They essentially wanted the island hand painted in a deep red and then aged and ‘antiqued’. They had a very clear idea of the look they wanted though they said it could be a little subtler. 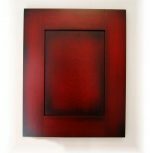 I assure them this kind of effect is something I have a lot of experience in creating and that ‘antiquing’ is a bit of a specialism of mine. After a very productive consultation a deposit was paid and the work booked in for later that year. 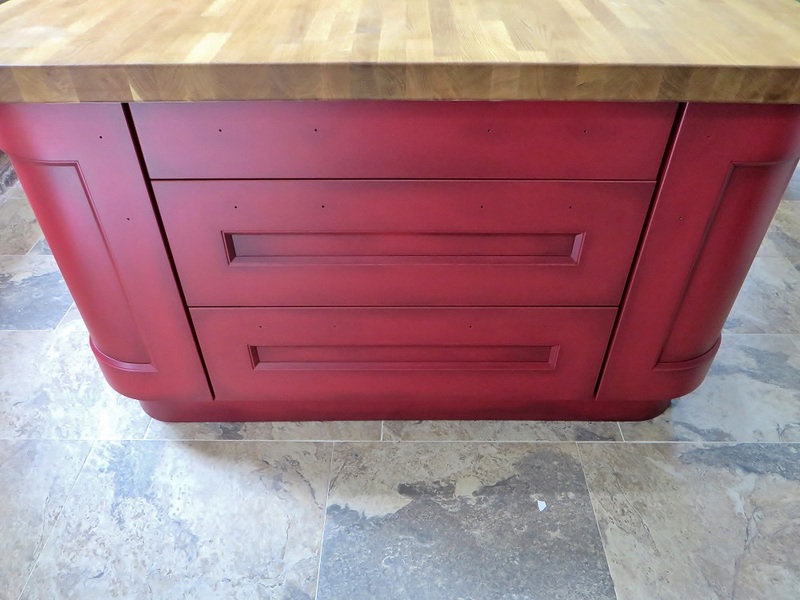 The first part of the project was to prepare and hand paint the island in a deep crimson colour. 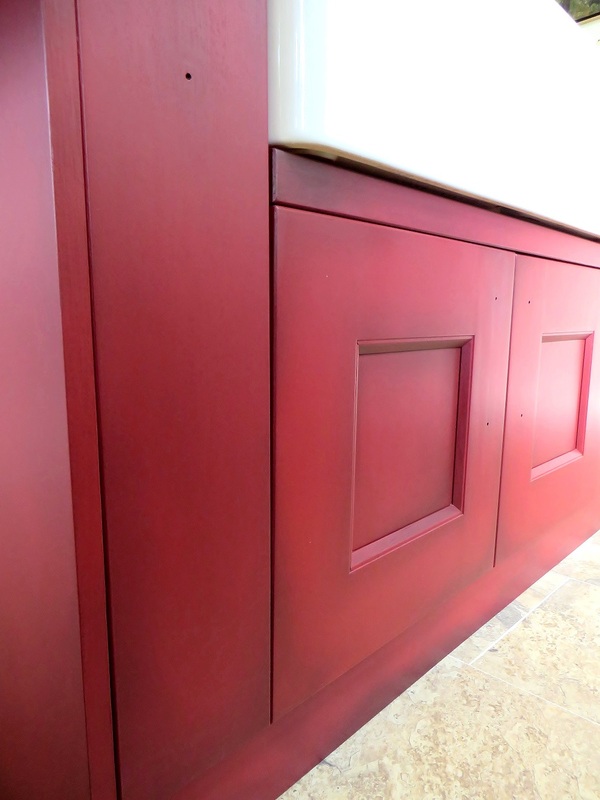 This would essentially become the base for the specialist paint finish that would add the ‘aged antiqued’ look. 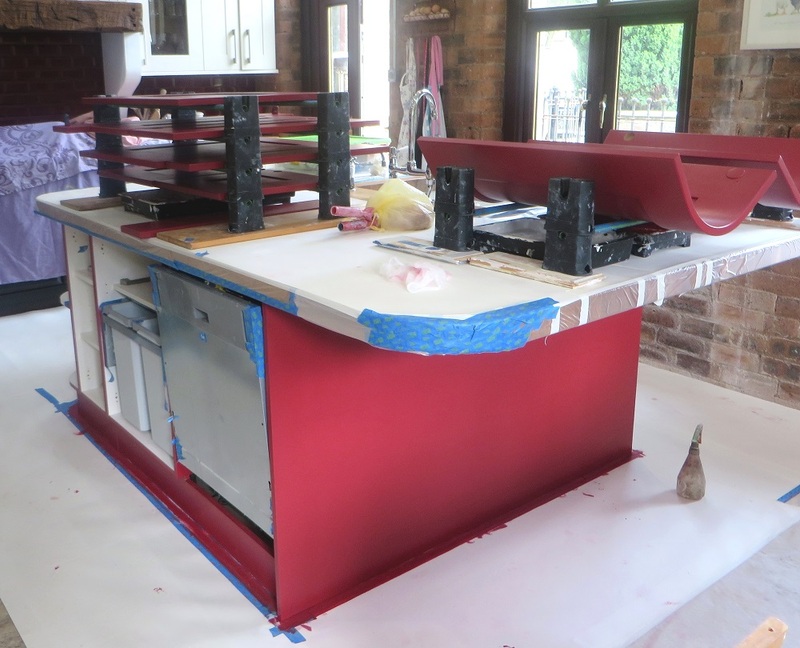 As with all my hand painted kitchen projects, preparation and attention to detail are the keys to getting a great result and a lovely smooth finish. Cleaned, maksed off, sanded and primed. I first cleaned everything with a specialist cleaner/degreaser and then sanded every square inch so as to create a ‘key’ for the paint. 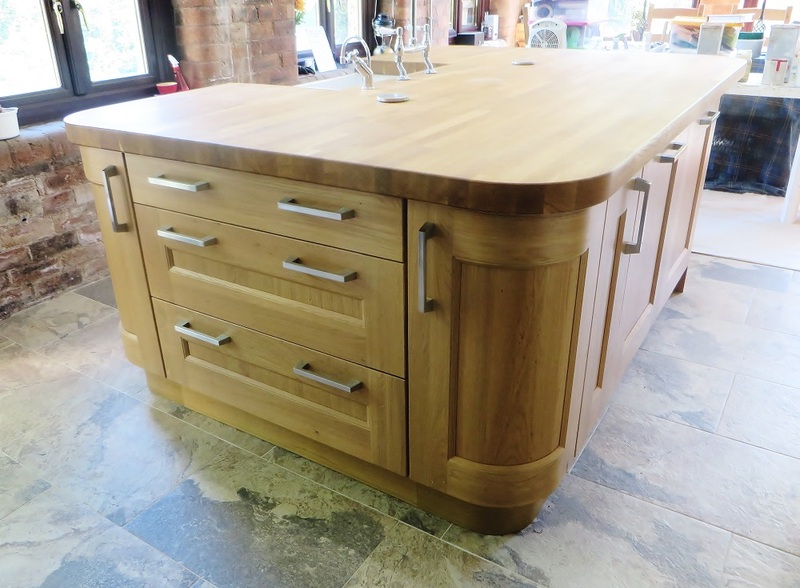 As the island was made of oak I chose a shellac based primer so as to eliminate any potential ‘tannin’ issues from the wood. Once the shellac primer was applied and had hardened I sanded everything back to get a lovely smooth finish before applying a coat of another specialist high adhesion primer. 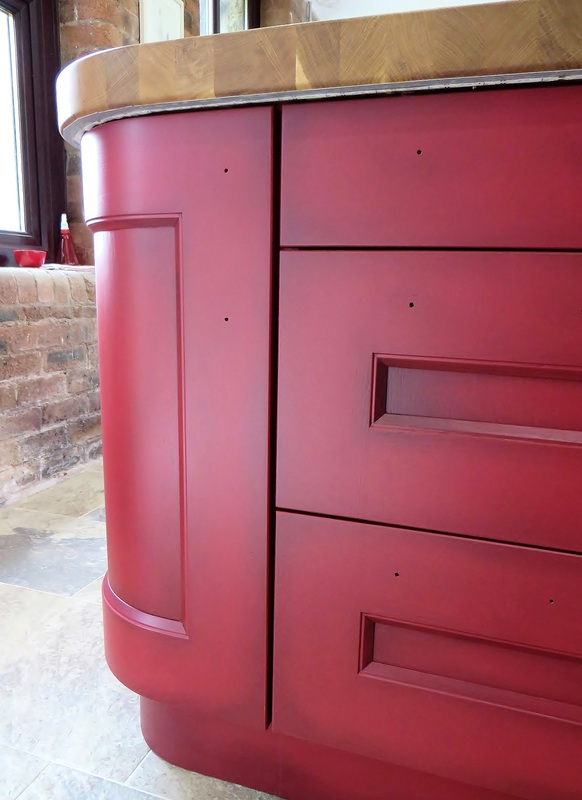 Once the priming was complete I applied two coats of this deep crimson colour in oil eggshell, ‘laying off’ each coat so as to ensure a beautifully smooth finish. As I mentioned above, the idea behind the effect was to create a truely unique piece that complimented their old Chesterfield sofa that sat in the corner of the same room. Chesterfields look naturally aged and the effect on the island had to be painted in sympathy with this and look natural, like it had been there for years. To create most paint effects I use tinted glazes. 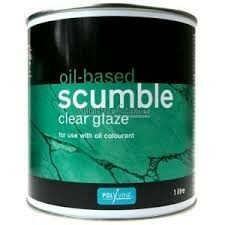 By this I mean a mixture of scumble glaze and paint. The scumble glaze makes the paint semi transparent and also increases the open time so you can play and get the exact finish you want. To create the finish I tinted the Polyvine Oil Glaze with a mixture of Paynes Grey, Purple Madder and Prussian Blue tubed oil paint. I mixed the paint with the glaze and added white spirit to get a consistency akin to single cream, then splodged (think that’s the technical term) the glaze on with a brush, stippled it with a Hog Hair stippling brush and wiped away any excess/blended it in with a lint free cloth. With this type of ‘antique’ specialist paint effect it’s all about the balance, too heavy and it looks contrived, too light, you can’t see it. As you can see from the photos the effect I created is subtle, fading in and out but is definitely noticeable without being over the top. It also looks natural, like the kitchen and paint has just aged over the years, but in a stylised way. 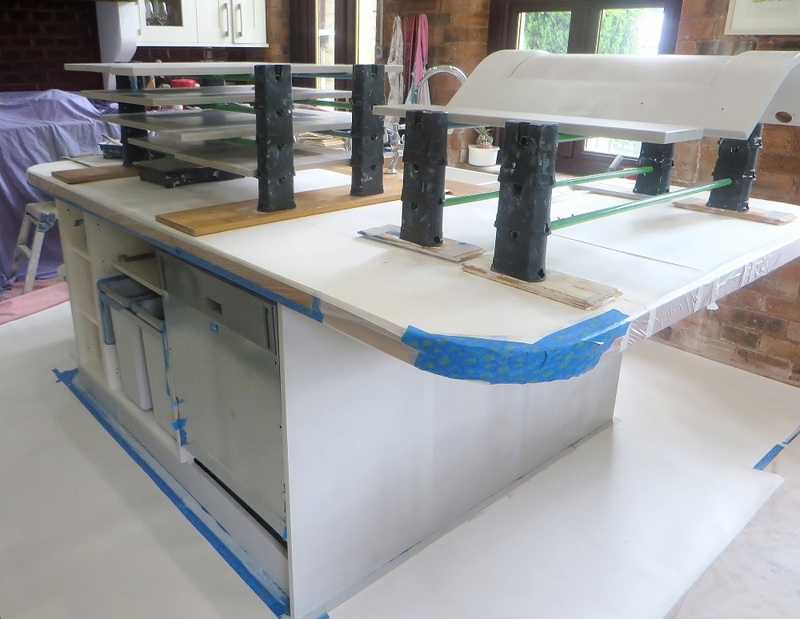 To give the island true and lasting durability I applied two coats of varnish. 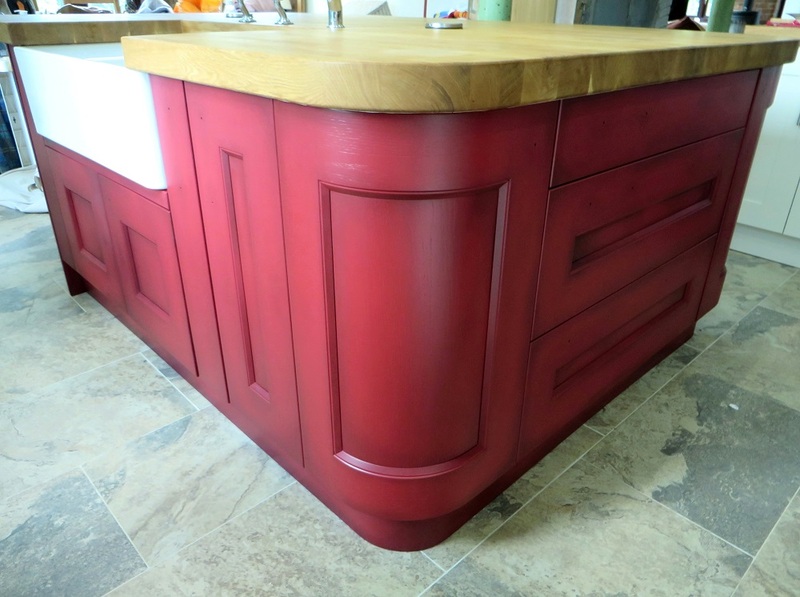 Water based varnishes tend to have a blue tint due to the cobalt in them and this is very noticeable on dark red colours – I therefore used an oil based varnish with non yellowing UV protection trickery. 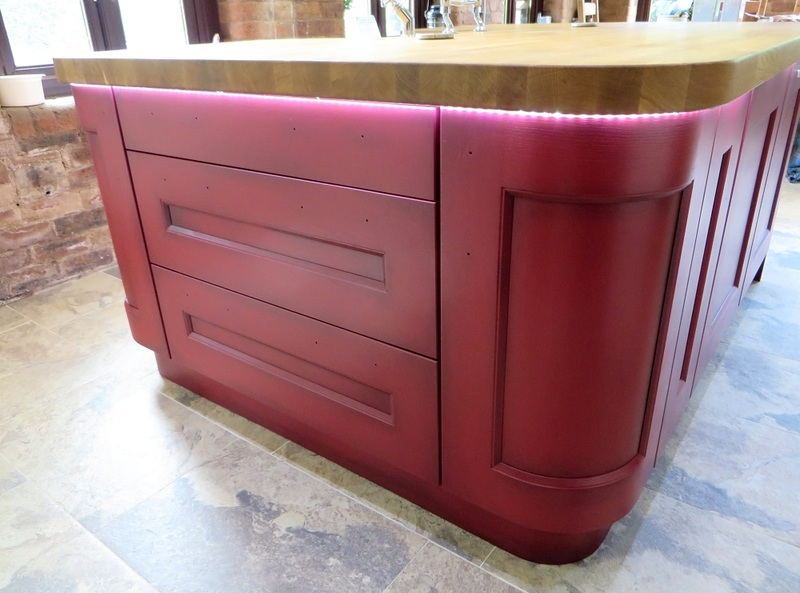 To add a bit of funkyness to the whole design and look of the island the clients had fitted a run of LED lights to the underside of the worktop, adding yet another dimension to the look of the piece and creating a bit of a party atmosphere on a night.